The exploits of wannabe or delusional Sherlocks were popular in the 1970s. There was the excellent 1971 film They Might Be Giants with George C. Scott, as well as a TV movie The Return of the World's Greatest Detective with Larry Hagman. 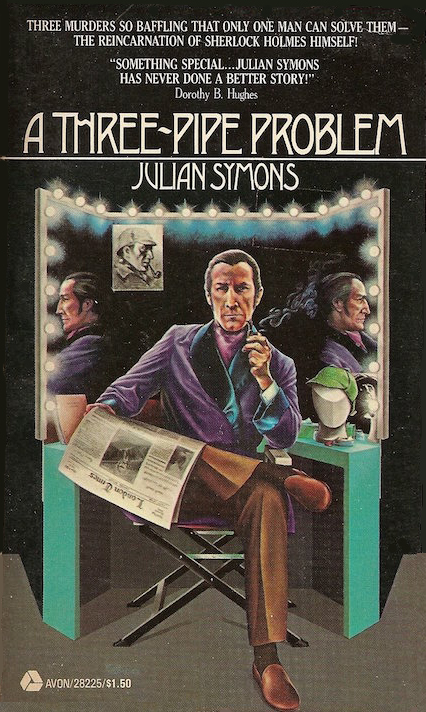 This 1976 novel by Julian Symons picked up on the theme. Small-time actor, Sheridan Haynes, had a rather unhealthy preoccupation with Sherlock Holmes. So when the chance came for him to play the famous detective in a TV series, it seemed his dreams had come true. And when London was plagued by a series of unsolved murders, well it seemed only natural for him to take his role into real life. Was this a case of a laughable and misguided actor, or was Sherdian actually on to something?